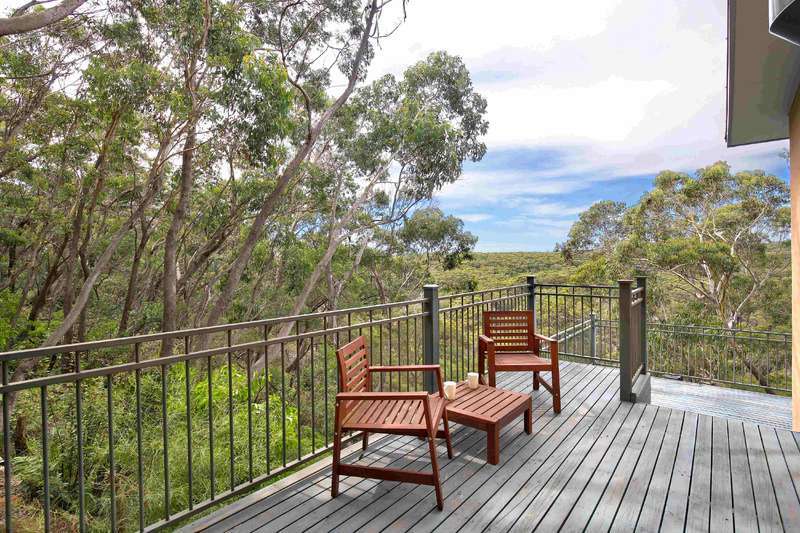 Immerse yourself into the natural bush surroundings while staying at Postcards From The Edge. 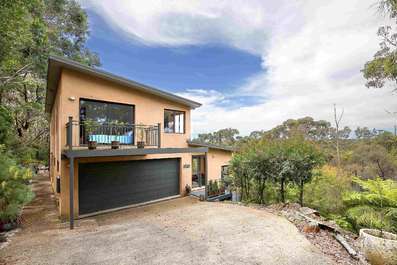 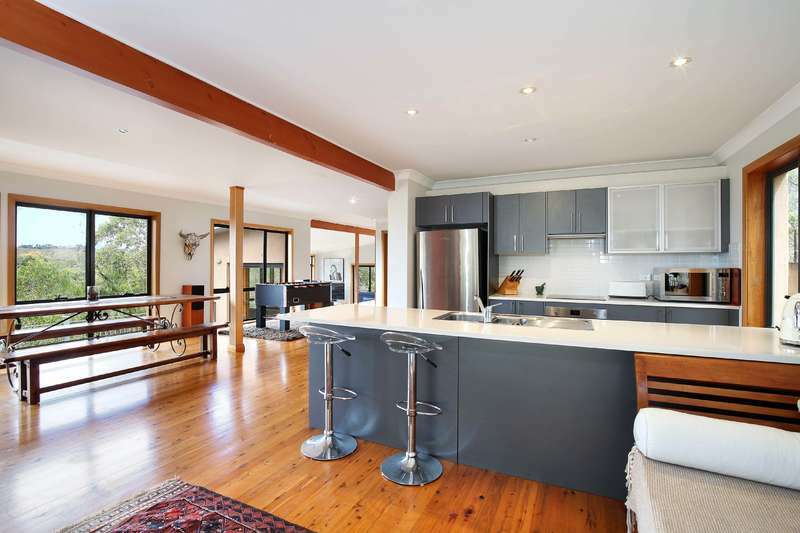 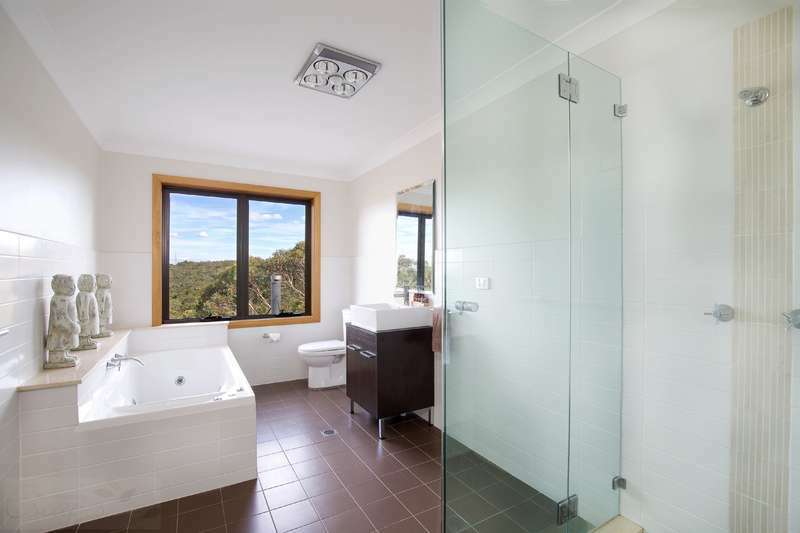 Set below the street level to take advantage of the stunning bushland views and provide privacy in all directions this 4-bedroom 2-bathroom home is a spectacular architect designed residence, the perfect home away from home for your next Blue Mountains Escape. 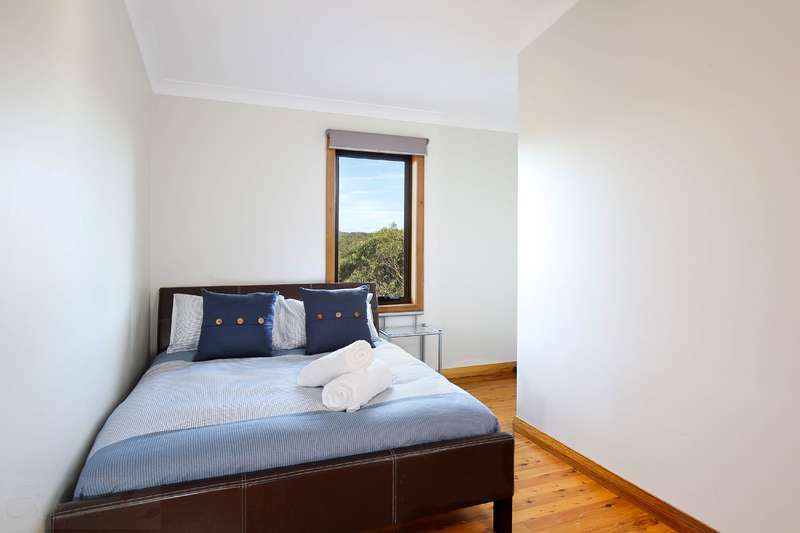 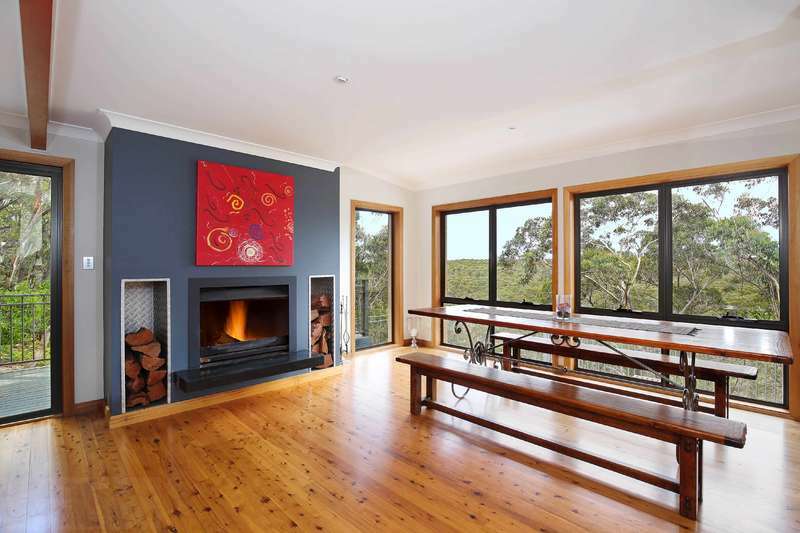 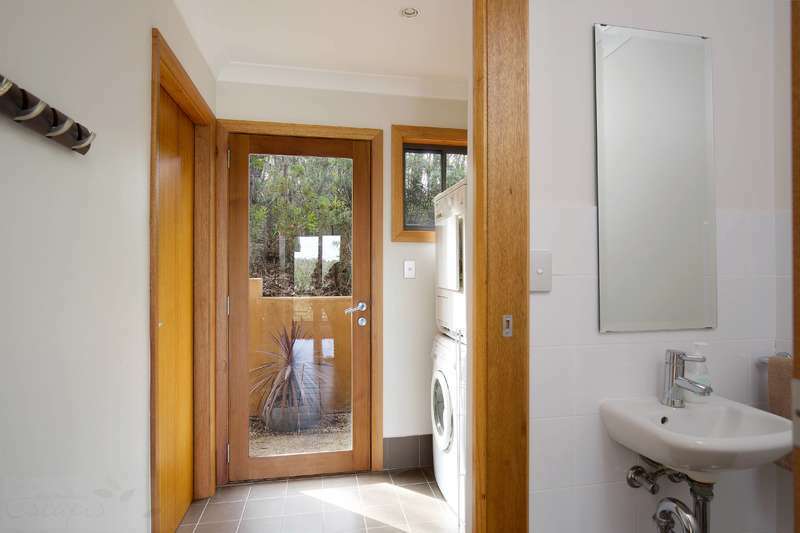 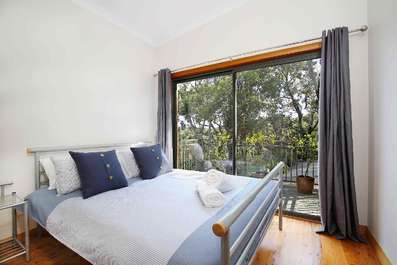 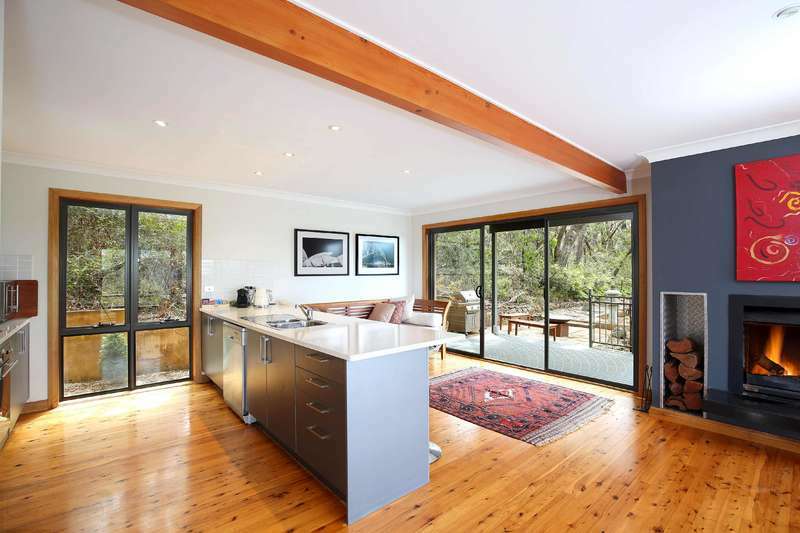 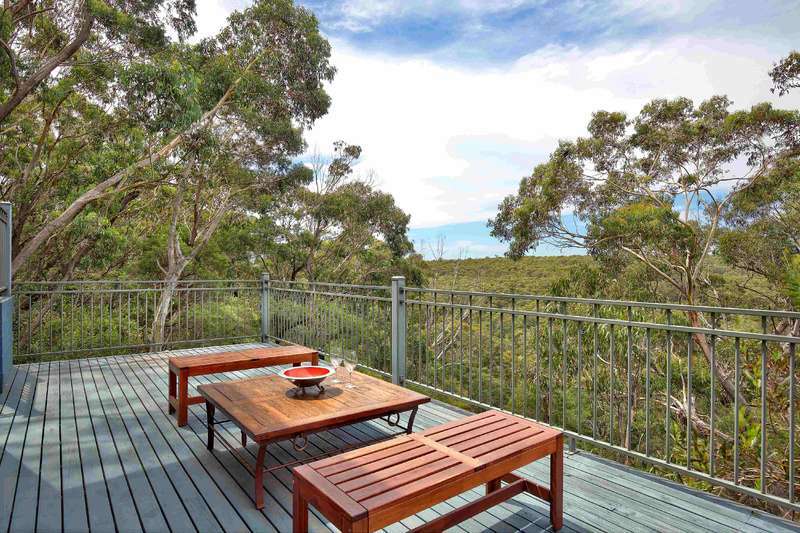 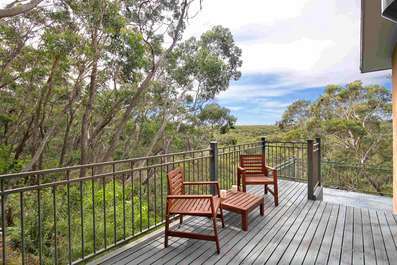 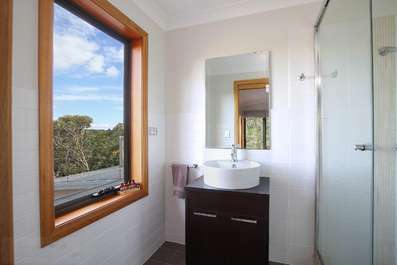 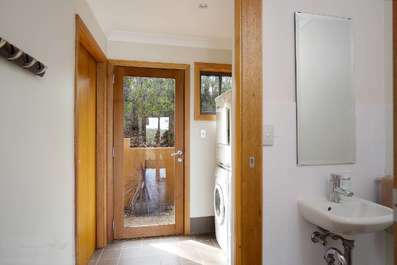 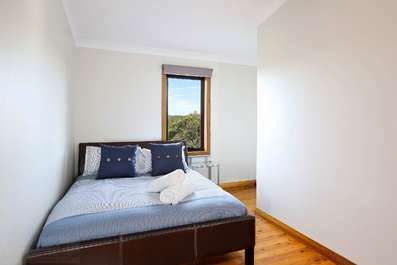 The entire front of the home on both levels offers guests uninterrupted Blue Mountains bush views. 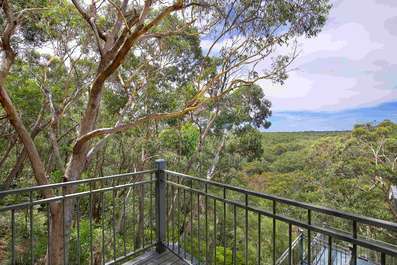 While it’s location, close to Govetts Leap and many other bush walks makes it a great base for lovers of the great outdoors and for those wishing to experience the Blue Mountains up close. 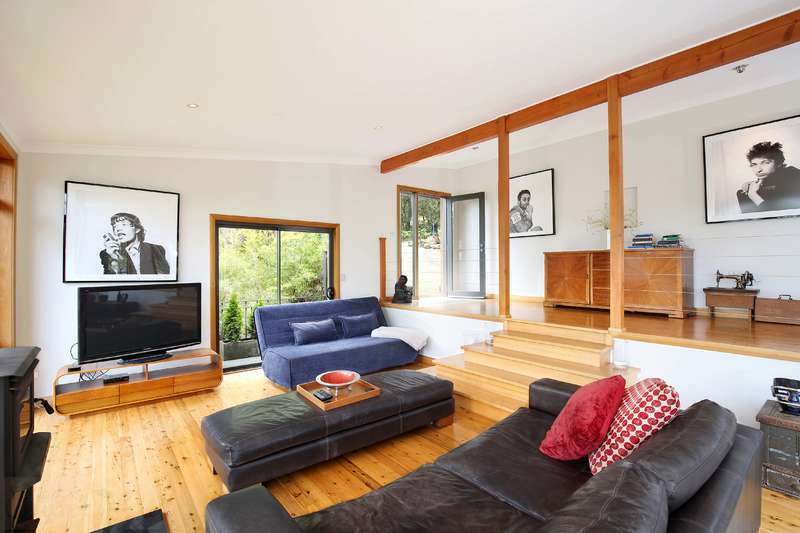 The village of Blackheath is only a 3-minute drive away for shopping and dining. Decorated throughout with one of a kind artworks and photographs, the homes open plan lower level has a step-down sunken lounge area with slow combustion fireplace a large flat screen TV, FREE WiFi, AppleTV and iPod connection plus two outdoor decks. Step back up and walk past the full-size foosball table to the modern kitchen, open fireplace and dining room all again with bush views, there is access to the BBQ and firepit area just off the kitchen. 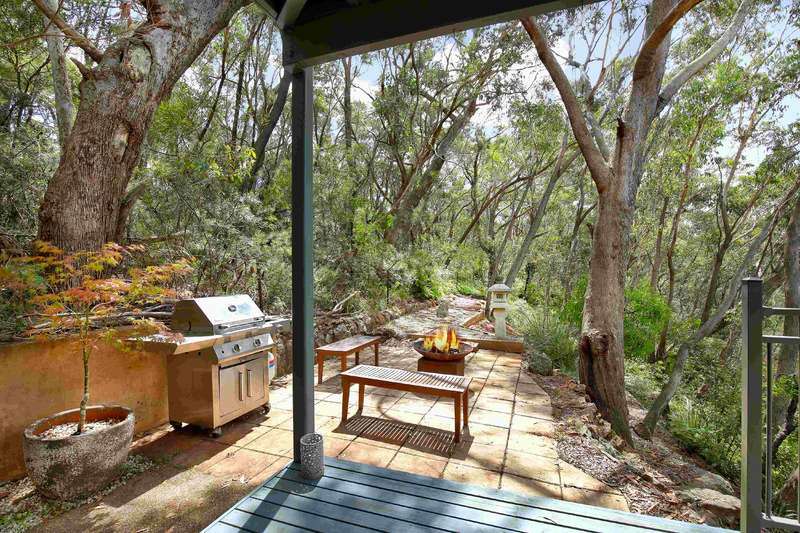 Which makes this the perfect spot for a relaxing fireside beverage after a day exploring or a cosy outdoor cook up. 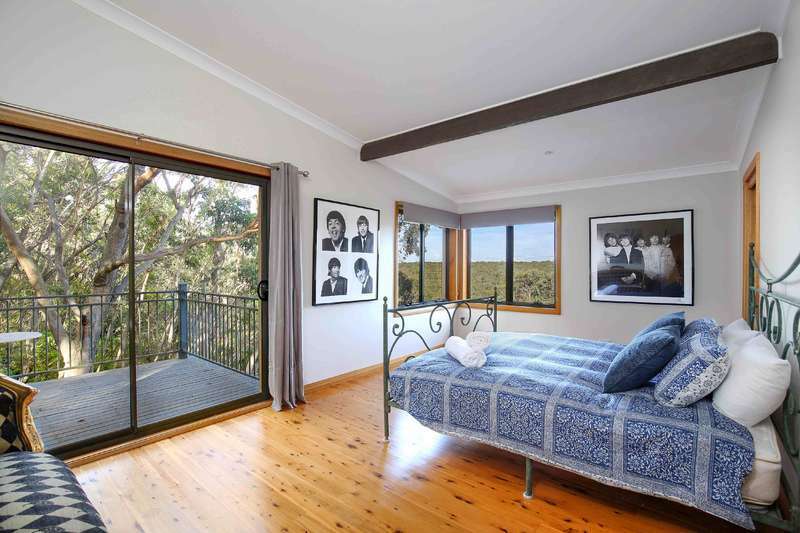 Head upstairs and you’ll find the 4-bedrooms and 2-bathrooms all of which have impressive views to awake to everyday of your stay. 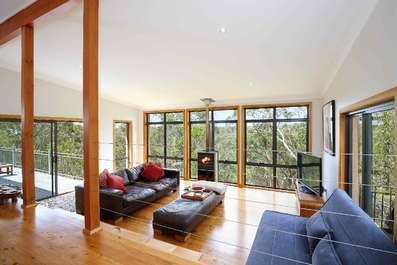 Postcards From The Edge is so much more than a holiday home it is a fabulous place to unwind and refresh with nature.